This page is all about knowing the actual dimensions of commercial lumber sizes versus the nominal size used to refer to them. For example, a "2 x 4" isn't 2 inches by 4 inches. Instead its actually 1.5 inches by 3.5 inches. Knowing the actual lumber dimensions is obviously very helpful! 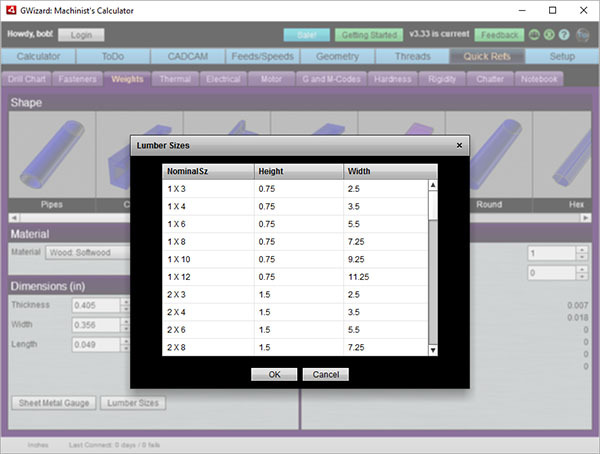 Before we dive into the data, a quick word about lumber size terminology, grades, and tolerances. The Nominal Size is how we refer to the lumber, for example, a "2 X 4". The Actual Size is the actual measured size of the lumber. The sizes presented are based on commercially available lumber within the USA, so the data shown is in Imperial (Inches) units. Lumber can be purchased as dry or green, where dry lumber has been seasoned or dried to a moisture content of 19% or less. Green lumber is any lumber whose moisture content is greater than 19%.When purchased, rough lumber can't less than 1/8" thicker or wider than the actual size specified, except that 20% of a shipment can be up to 2/32" thicker or wider. That's per the American Softwood Lumber Standard PS 20-05, which BTW is a voluntary product standard. A particular piece of lumber can have a wide range of quality and appearance due to knots, shakes, slope of grain, and other natural characteristics. Because of that, any given piece of lumber might vary considerably in terms of strength, utility, and value for any given use. 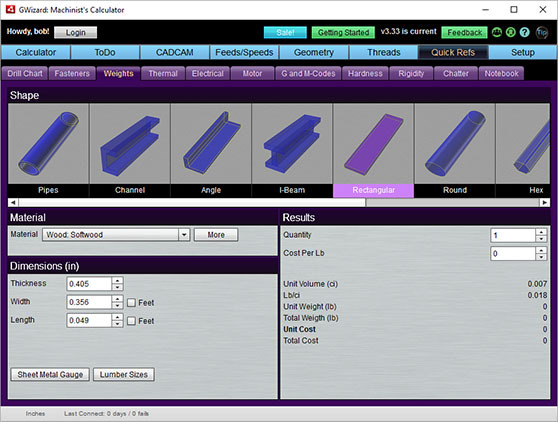 Be sure to keep all that in mind for your projects, You'll want to select the lumber you're using carefully if feasible! So Then Why Isn't a 2 X 4 Actually 2 Inches by 4 Inches? There's some history involved (most of the time we blame either history or marketing when obvious things are obviously wrong!). During the 18th and 19th centuries, local sawmills were there to satisfy demand using lumber felled nearby. This lumber was not kiln dried (hence it was green) and it was supplied strictly rough sawn from the mill. As a result, lumber sizes varied considerably from one region (and mill) to the next. The sizes were based on local customers and demand. There weren't any standards for grading or sizing lumber until as late as 1895. Nevertheless, 2" evolved over time as the most common thickness for structural lumber like joists, rafters, and studs while 1" evolved as the most common thickness for boards. During the second half of the 19th century, the railroad system made it possible for these mills to broaden their markets. That forced increasing degrees of standardizing as mills tried to accomodate the needs of markets that were further away. In addition, they soon realized it was costlier to ship green lumber than dry lumber because they were shipping the water in the green lumber which made it heavier. Drying the lumber led to shrinkage, which was the first cause of a 2 x 4 being less than (ahem!) 2 inches by 4 inches. Competition and the demands of consumers led from rough sawn lumber to desire for surface planing the lumber, which (literally) shaved a bit more off that 2 inches by 4 inches. The good news is lumber became easier to handle because it was off a standard size and planed lumber was far less likely to leave splinters in the carpenter's hands. Even so, it wasn't until as late as 1969 (!) that the US Department of Commerce once and for all unified lumber sizes across the country, and that's how we came to have 2 x 4's that are 1.25 by 3.5 inches. Standard Weights Calculator? What's all this then? Simply put, it has the standard sizes for all the standard shapes you can obtain various materials in. It's all presented in a handy calculator that lets you figure weights and costs. 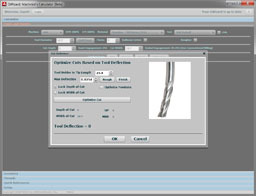 Note that the Sheet Metal Gauge only appears when you select the "Rectangular" shapes. Some things a free online chart just can't do! G-Wizard makes all this so easy you'll be reaching for your Machinery's Handbook way less often and loving it. Here's something else--you can get lifetime access to all the reference calculators and materials except the Feeds and Speeds Calculator just by signing up for a 30-Day Free Trial of G-Wizard. That's right, it is completely free to access all that just by signing up for a free trial and you'll also get all the upgrades and customer service for life! Plus, buy the $79 version and you get up to 1 HP on the Feeds and Speeds too for life. So what's the catch? Why does anyone ever pay more than $79? Many hobbyists don't pay more than $79, BTW. The catch is a spindle power limit. When you buy the 1 year G-Wizard for $79, you get 1 year of unlimited spindle power for Feeds and Speeds. When that expires, you get a spindle power limit of 1 HP. That limit is based on however many years you subscribe for. You can increase it any time you like by renewing the subscription. Or, if you don't like subscriptions, you can also by the product outright. And we never charge for updates or customer service. So go ahead, give G-Wizard a free 30 day trial. You'll be surprised at all the time it saves you on things like Tap Drill Sizes, not to mention the longer tool life, better surface finish, and shorter cycle times you'll get from better Feeds and Speeds.